Researchers in Brazil suspect a fatal tetanus infection in a six-day-old quarter horse foal may have been caused by inadequate cleaning of the umbilical cord. Tetanus is a severe and highly fatal disease caused by the toxin of Clostridium tetani, an anaerobic spore-forming gram-positive bacterium. The disease is characterized by muscle rigidity and can lead to death by respiratory failure or seizures. 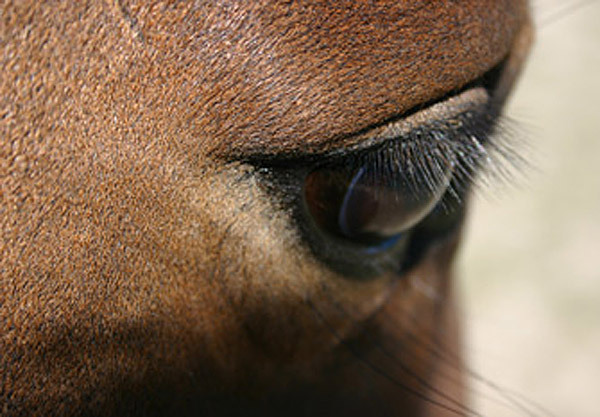 The Federal University of Uberlândia researchers, in a case report in the Veterinary News journal, said the foal showed a lack of interest in his surroundings, was down and unable to rise, had umbilical thickening, protrusion of the third eyelid, seizures and was affected by hyperesthesia (excessive physical sensitivity, especially of the skin). The foal was treated with potassium penicillin and anti-tetanus toxoid immunoglobulin. The youngster also received fluid therapy the umbilical cord was dressed. However, after 48 hours of treatment, the animal died. Carolina Anjos and her colleagues said the infection may have been caused by inadequate umbilical cord cleansing. Anjos was joined in the work by Layane Queiroz Magalhães, Felipe Gonçalves Garcia, Bruna Souza Teixeira, Paula Mara Ribeiro Troncha, Bruno Toledo Silva and Geison Morel Nogueira. Carolina Anjos, Layane Queiroz Magalhães, Felipe Gonçalves Garcia, Bruna Souza Teixeira, Paula Mara Ribeiro Troncha, Bruno Toledo Silva, Geison Morel Nogueira.